Sophia Perovska turns Yevheniya Myroshnychenko. Kyiv City Council voted on 10 November for the renaming of Ivan Lepse Blvd. to Vaclav Havel Blvd. in the city's Solomyanskyy district . Also, Sophia Perovska St. renamed Yevheniya Myroshnychenko St. (Shevchenko district), and the Perspektyvna St. to Ihor Branovitskyy St. (Pechersk District). The renaming have passed all the necessary procedures, including public discussions, the city hall assured. In addition, an unnamed park square at the intersection of Marshal Malinovskyy and Dobryninska in Obolon district is named after the famous firefighter Leonid Telyatnikov, who defended the Ukrainians during the liquidation of the Chernobyl disaster. 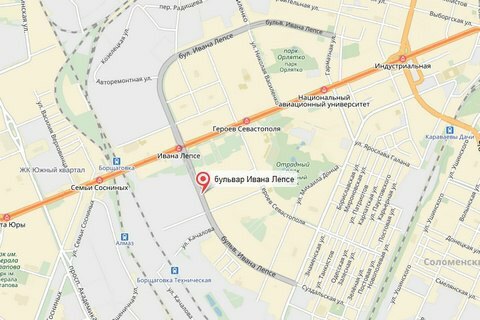 Also, a small park at the intersection of the Strategic Highway and Naukovy Ave. in Holosiyivskyy district is named ATU volunteers Sq., and the park on Volodymyrskyy Passage, 1 got the name of Lytovskyy (Lithuanian). According to the finance department of the city hall, the renaming will not require additional funding from the city coffers. In October, the Kyiv council renamed, among other streets, Patrice Lumumba St. in John Paul II St.